There are times when you might not be sure what to do with your finances. At that point, it makes sense to call in a professional. Sometimes, a professional can help you get through the thornier issues that you are dealing with. Those who have met the requirements to become a CFP can help you with long-term planning needs. A CFP can usually help you develop a plan to get out of debt, save for retirement, and meet other goals. Many CFPs can recommend strategies to help you reach your long-term financial goals. If you are looking for a place to start when it comes to getting your finances in order, a CFP can be a great help. When you have tax questions, a CPA can be a great help. While some financial planners can help you with broad tax strategies, an accountant can help you prepare your tax return and advise you on what you can do right now to reduce your tax liability. I like using a CPA to prepare my taxes, since they have grown in complexity with my business and my investments. In many cases, an estate planner is someone who has experience with putting together wills, trusts, and powers of attorney. Many estate planners are also attorneys. There is an entire branch of law devoted to estate planning, and working out legal issues related to disposition of an estate. When you have questions about how to structure your finances so that more of your money passes on the way you want it to, it makes sense to speak with an estate planner. Your financial planner can help you figure out an investing strategy to follow, but not all financial planners are registered as investment advisers. Unless your planner has a securities license, they can’t buy investments on your behalf. If you want someone able to manage your portfolio for you, you need an investment adviser, or you need to find out that your financial planner has a securities license. You can get your insurance needs covered with the help of an agent. Agents are licensed by the state, and must meet the state’s requirements. It’s important to note that an insurance agent might steer you toward products and services that might not work for you. In some cases, it makes sense to go to a financial planner to determine your needs, and then go to an insurance agent just to complete the transaction. 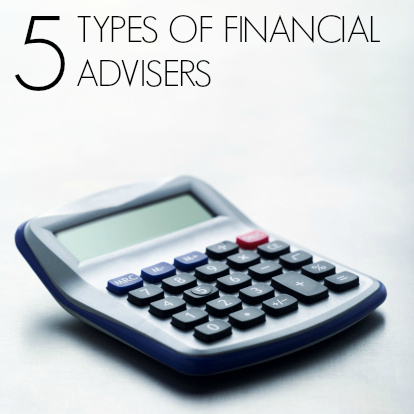 In many cases, you’ll actually have a financial team, depending on your needs. I do most of my own financial planning, but I obviously buy insurance through an agent, and I use an accountant to prepare my taxes. I also have an attorney I can turn to for trusted legal information. Figure out what you need in your life, and then choose financial advisers that meet those needs. Have you dealt with financial advisors? What experiences have you had? Leave a comment!